June 26 – Spain’s La Liga has sold its 2019-2022 television rights for €980 million ($1.15 billion) per season to Telefonica, an increase of 15% on the last three seasons. 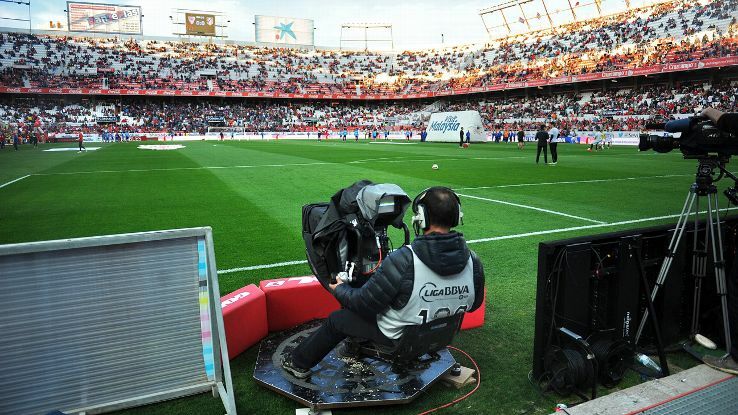 Telefonica will have direct control over the domestic TV rights for first division matches while rights for bars and international TV channels have been awarded to Mediapro for distribution. In all eight lots went out to tender, with none reaching the reserve price, but La Liga decided to provisionally award four lots, saying it was confident the other four would be awarded in the “coming months”. “With these provisional results, La Liga highlights the growing value of Spanish football. The world’s best league is also a leader in the leisure and entertainment sector,” La Liga said. La Liga president Javier Tebas said in March that he was aiming to secure €1.3 billion annually for the domestic rights to the 2019-20, 2020-21 and 2021-22 seasons, compared with €1.1 billion under the previous contract. La Liga also hopes to secure a further billion euros for the international broadcasting rights, bringing the total amount per season to €2.3 billion.